It’s that time of year – Spring is here – your lawn and garden need attention. 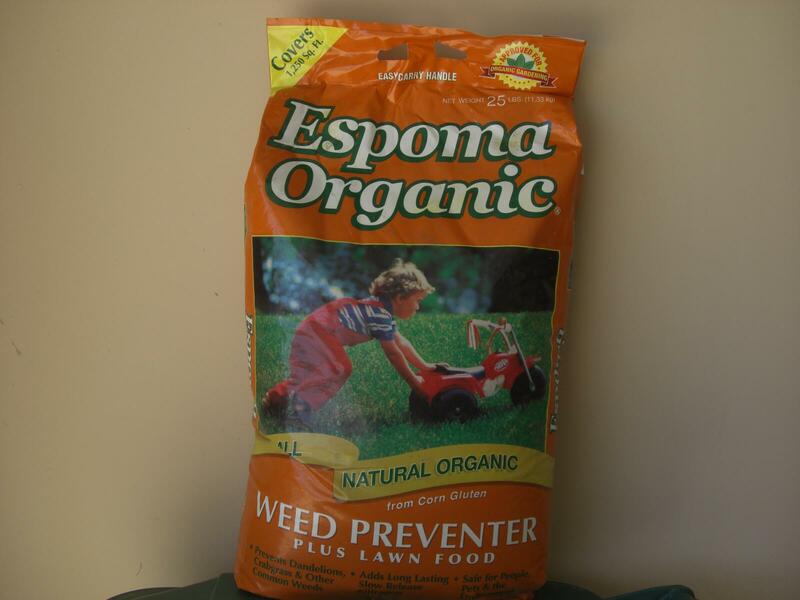 Unfortunately most people are still using poisons to kill weeds. The majority still use what I consider unhealthy choices to fertilize their lawn. This is frustrating considering more natural options are widely available. These products perform just as well and aren’t any more of a hassle than the “traditional” products. 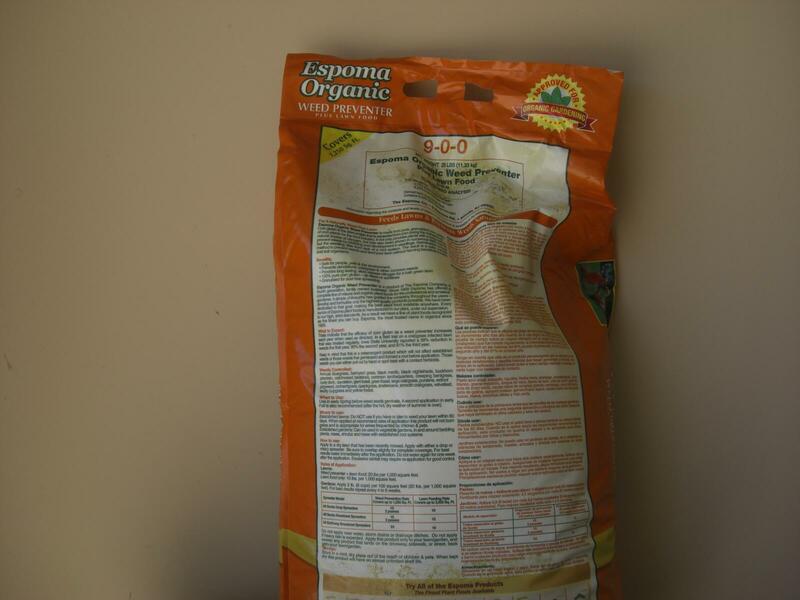 Espoma Corn Gluten Organic is one of the brands I’ve used for a couple of years now for weed prevention. 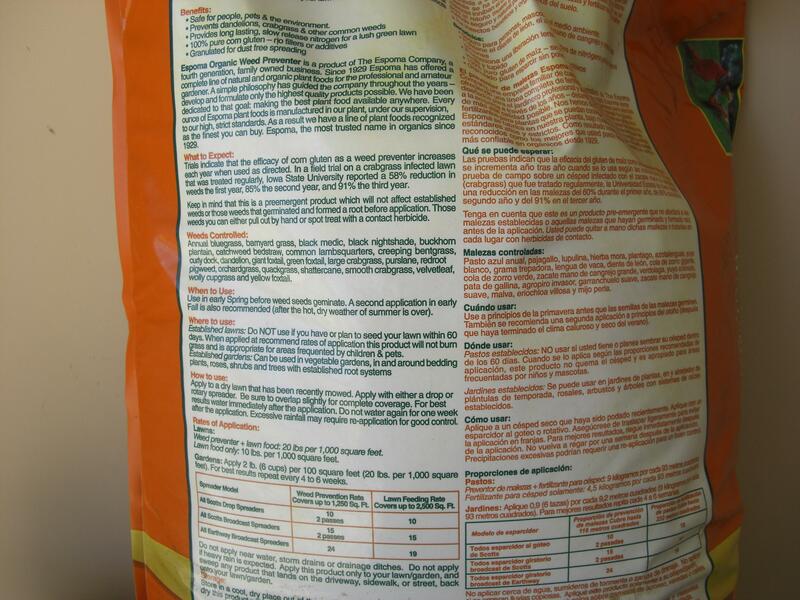 The other brand of corn gluten I use regularly is Concern Weed Prevention Plus. I’ve written about both in the past. From what I have seen around my neighborhood I personally feel the more natural solutions hold their own. When compared to yards using traditional methods in some cases I think our yard looks better. I haven’t seen any of my neighbors mow their lawn yet. But our yard had very high grass while the houses near us still have very low height grass. With little rain and only snow melt our yard already needs cutting. I can only assume that the fertilization methods we’ve used the past few years is the reason we are seeing faster growth with less water. Last year I didn’t use any Terracycle products on our lawn or garden areas. This company made it to hard to find and purchase their products. Terracycle did finally get around to improving their online purchasing process but it was to late to keep me as a customer. Amazon offers many Terracycle products now – again a little to late for my liking. I still feel that TerraCycle products offer value for those looking for natural options. They just dropped the ball in regards to keeping me as a customer.